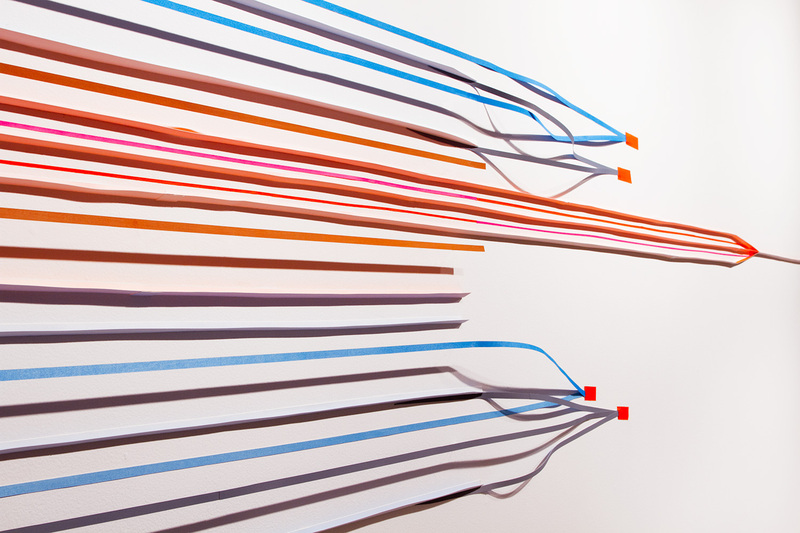 Fast Track is a site-specific work in paper that extends the entire length of a 44 foot long wall. 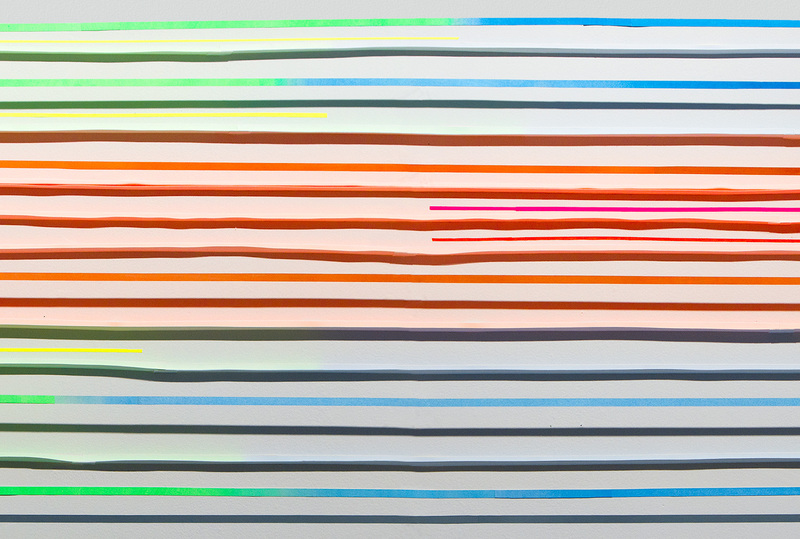 It is made of thin strips of paper, their cast shadows, and reflected color from unseen fluorescent paint – a heady mix resulting in a disorienting optical buzz. Made in the context of the New York Institute of Technology, a college of engineering and architecture, it references the diagrammatic language of engineering plans.